Visit My video Testimonials by Patients on my YouTube channel: http://www.youtube.com/user/DrStanwix and schedule your consultation with our cosmetic surgeon in Richmond today! "Dr. Stanwix is absolutely the best person that could of performed my surgery, he went above and beyond my expectations. His level of compassion is almost non existant with doctors today. If he had a life threatening disease and needed a lung I would not hesitate to forfeit one of mine that's how strongly I feel about the level of service I received from Dr. Stanwix. I have absolutely nothing negative to say about him or his character. He changed my life!!!" My before and after pictures are the last 8 pictures under neck lift. Dr. Stanwix did an amazing job and I am so happy with the results! I will be 60 in 2 weeks and the neck lift that Dr. Stanwix did has taken 15 years off of my looks. People can't believe that I am soon to be 60! I would recommend him to anyone! Besides the fact that he does good work, he is very kind and truly cares about his patients! "Dr Stanwix performed a very complicated microsurgery procedure on me called a "free flap" I developed a very bad staph infection after compound fracturing my fibula and dislocating my ankle. The free flap procedure was the only option to save my foot. If not for Dr Stanwix, I would have lost my foot to amputation. I will always be thankfull to him for saving my foot. He is the nicest most caring doctor I have ever known." "Dr Stanwix is a gem. He helped me through the most horrific experience of my life. In Aug of 2012, I slipped and fell in a hallway. I had no time to break my fall, so I hit the wall head-on with my forehead. The momentum spun me around to the other side of my face where I broke several cheek bones. With the swelling and discoloration I was almost unrecognizable. Fortunately, I was referred to Dr Stanwix. Within 12 hrs of seeing him, he performed surgery on my face. With his facial trauma experience and latest medical techniques, he was able to repair my cheek bones without cutting into my face. I have since completed a follow-up surgery to repair the damage to my forehead. I now look like myself again, even better. I have never felt such confidence in anyone, as I do with him. I like the fact that he is up on recent medical breakthroughs and that I can trust him to be honest and forthwith with me. His compassion equals that of a family member. I recommend him to anyone." "Awesome Doctor! Dr. Stanwix is a patient and caring doctor. He made the procedure as comfortable as I could have imagined. He truly cares for his patients and their needs." I'm loving this!!!! Thanks for doing such a great job and your kindness, your heart, and your professionalism made me know that I made the right choice going with you!!!! First of all, I want to thank you for spending so much of your time with me, explaining my options for breast reconstruction... I am so impressed with you and what you have to offer that I hope you don’t mind that I spread your talents around. Thanks again! We are very fortunate the day you were introduced into our lives. We feel very lucky and blessed to have had you as our doctor. I know the day that Jimmy fell off the ladder that our lives changed forever. For me personally you were a Godsend. Thank you for your calm caring nature and your brilliant surgical skills. We are forever grateful for all you did for us. "Excellent! He and his staff are so friendly and courteous." I wanted to thank you for the wonderful job that you have performed on me. You are knowledgeable, professional, kind, and a very thoughtful person. Thank you so much! Thank you so much! My results are AMAZING!!! I am so happy with the this procedure and such an amazing doctor! My results are SOOOOOOOOOO good! I cannot believe it!!!!! I look so good. I am thankful, so thankful!!!! "Best I ever dealt with! Excellent knowledge and care. Thank You!" "I am very pleased with the result of my surgery performed by Dr Stanwix and would highly recommend him." I had been dealing with a skin issue for over 6months and no surgeon could fix it. Dr. Stanwix performed my surgery and it was solved in 2 weeks. He was the best! Thank you so much for making my life better! I would highly recommend Dr Stanwix to family and friends. He quickly put me at ease when discussing my breast reduction and the expected outcome. He is professional, kind and caring. He made me feel like I was his most important patient of the day and that all of my concerns were justified. I was thrilled with the final results and would never use a different surgeon in the future. Dr. Stanwix, We cannot begin to find the words to express how much your loving care has meant to us. This journey continues to be both physically and mentally draining. Thank you for always being within our reach. You humble us. Thank you!!! I had multiple procedures, both surgical and non-surgical performed by Dr. Stanwix with excellent results! I am so happy I found him! He is a caring and compassionate cosmetic surgeon and person. If you are considering ANY cosmetic procedures, consult him first. You will be glad you did!!! Dr Matthew Stanwix is a compassionate and dedicated individual whose client/Md relationship is beyond reproach. I feel so fortunate that I chose Dr Stanwix , my experience from beginning to end was very positive.I highly recommend him to any one who is considering plastic surgery. I look and feel like a new person,my self esteem improved thanks to Dr. Stanwix. Today I celebrated the first anniversary of my bilateral mastectomy and the beginning of my breast reconstruction. From the time of my initial consultation and throughout the reconstruction process, I have felt blessed to have Dr. Matthew Stanwix as my plastic surgeon. First, I know that I have had a physician with excellent credentials and surgical skills. Second, Dr. Stanwix treats his patients with the utmost compassion, courtesy, and respect while providing meticulous, personable care throughout the process. He strives to connect with his patients, providing valuable information and answering their questions. I recommend him, without reservation, to anyone in need of reconstruction, and I will certainly consult Dr. Stanwix if I need any plastic surgery in the future. Dr Stanwix was awesome! I had booked my consult with him out of curiosity after he replied to a question I posted here and I'm so glad I did. I felt like he listened to me and what my expectations were. I had been told I needed a lift but I just didn't see it and Dr Stanwix felt I had a good probability of not needing one either. The best part in my opinion was he assured me that if I do need a lift, it was no big deal to schedule it at a later time... This way my body will be the deciding factor and I'm not automatically going to be subjected to the extra scars that come with the lift. I really can't say enough nice things and I'm super psyched! Thank you for your time and conversation. Your open pride and sharing are extremely refreshing. After many years and plastic surgery experiences I have never been so at ease and happy with my results as I was with you. No other surgeon had even compared. I wish you well and my extended deep thanks to you! Excellent !! Caring and compassionate! Talented! Expert in the field of plastic surgery! Outstanding professionalism ! Dr. Stanwix is second to none when it comes to caring for his patients during their cosmetic procedures and/or surgery. I have had several procedures performed by Dr. Stanwix. When I first met Dr. Stanwix, fall of 2012, our consultation was so comfortable. He took a genuine interest in me and what I was looking for. From that point on, pre-surgical workup, peri-surgery, and post surgery follow up, I always felt he was only a phone call away should I run into any problems, or have any questions. I have had 2 major cosmetic procedures/surgeries by Dr. Stanwix and also other enhancements, for example juvaderm and botox. I strongly recommend Dr. Stanwix if you are considering any cosmetic procedure. Be assured that, if the situation arose, I wouldn't hesitate to recommend Dr. Stanwix to a friend or family member. Please let Dr. Stanwix know he did an AMAZING job and I am so very happy with my results. This is just a quick note to say thank you for doing my surgeries! Things are looking good and I am very pleased with everything! You are truly amazing! I am honored to do a review for Dr. Stanwix. I am so thankful that the first Dr. I went to recommended Dr. Stanwix. He is wonderful!! I am doing great. I couldn't be happier with the results. I can't thank you enough for all your help the process was fabulous! I still look great by the way! Thank you so much Dr. Stanwix! I have never felt this confident since I was in my 20’s!!! You rock!!! I feel 20 yrs younger! Thank you so much for helping me get my life back. I'm so excited for the possibilities! I am two weeks post op and feel amazing! I am healing very well. I am so excited and pleased with my breasts! My recovery is going great. Everything looks and feels amazing. I’m beyond shocked at how fast my body is healing. I have a huge list of issues that have completely vanished or massively improved in only a month. It’s incredible! Thank you for such amazing results! I’m beyond grateful! You were always patient and answered all questions before and after surgeries. I truly thank you for being there these last couple of years. You truly are the Best Plastic Surgeon. I just wanted to thank you and your staff for everything! Everyone has been very kind and so helpful! This has been a very painless process from start until now! Congratulations on your new practice!!! You are amazing and I know you'll do great! Congrats on the opening of your new practice!! Wishing you many happy patients and many success stories as only you can achieve!! You are a gentleman and a talented surgeon. Thank you for taking great care of me. My torso looks outstanding!!!! I love waking up every morning and actually seeing my abs! I truly cannot thank you enough! I wouldn’t want anyone else to perform this type of surgery on me! All of my old clothes fit perfectly now. I stopped being able to fit into them about 3 years ago but wasn't giving up hope. Now everything fits and looks amazing so I'm just thrilled with the results and am so grateful to you. I feel grateful I found such a compassionate, extremely talented surgeon like you to do it. I tell everyone about you. I’ve never felt better. You’re the best! Thank you for all you do, and for all you are! I am beyond relieved...and super glad I chose you as my surgeon. You gave me my life back, and for that I am forever grateful! I wanted to start off by saying thank you so much. I truly feel like you’ve given me my life back. Thank you, thank you, thank you! Thank you again for your bedside manner, your generosity and compassion to helping women take back their lives. You are the best. I look fabulous! My body and neck look 40 years younger. Thank you for taking such great care of me and after seeing other women and some complications they experienced with other doctors I’m so grateful for your expertise! You did an amazing job! Don’t ever stop being so great. Thanks! I can not thank you enough for the wonderful job you did and how amazing your staff is. You truly are a hero! There isn't a day that goes by that I don't feel extremely grateful that I was able to have you do my surgery. I look years younger, and feel decades younger....simply unbelievable and the greatest gift or blessing I could ever have ever dreamed of or asked for. The absolute best medical experience I've ever had. Everyone was incredibly friendly and attentive and it really helped rid my anxiety through the whole process. I've never been happier with my body. Excellent experience all around, with excellent results! My Mommy Makeover could not have gone better. Dr. Stanwix is a perfect combination of skill, listening, responsiveness, and meticulous practice. I am so impressed with the results of my Mommy Makeover, I am returning to Dr. Stanwix in a few weeks for a face lift, brow lift, neck lift and fat transfer to face- something I would have never, ever considered prior to my Mommy Makeover experience with him. Dr. Stanwix has assembled an excellent staff. Their happy rapport and teamwork deliver a seamless, streamlined, enjoyable experience to patients. I am looking forward to the results of my next procedures with Dr. Stanwix! Dr. Stanwix is an AMAZING Surgeon! Great bedside manner and he has unmmatched skills and knowledge in his field. He performed my BBL, and the results could not have been better! His staff are also warm and welcoming. Highly Recommend !! I will definitely work with him in the future. After over a year of unexplained health issues and multiple emergency surgeries, I decided to have my implants removed in hopes it would help improve my health. This decision took me quite some time because I was extremely concerned with the possibility of looking deformed. I am currently a little over two weeks out from enbloc explant, doughnut lift, and fat transfer and I couldn’t be more pleased with my results! I will forever be grateful for Dr stanwix helping me get my health and life back as well as helping me retain my confidence. Dr. Stanwix is a model plastic surgeon: extremely knowledgeable, highly skilled, and easily accessible to his patients. He surrounds himself with equally skilled and professional staff who reflect his philosophy of medicine. My consultation, surgery and subsequent recovery have been excellent - better than expected. Thank you, Dr.Stanwix for offering such an exemplary cosmetic surgery practice to the area. 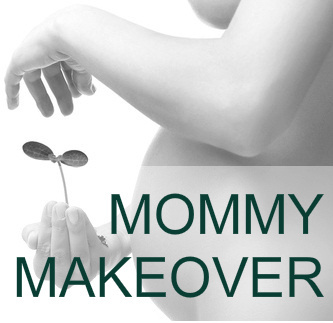 I am over the moon ecstatic with my Mommy Makeover results from surgery with Dr. Stanwix. I am 23 weeks out from surgery and my results keep getting better and better. Dr. Stanwix is the perfect combination of experienced, meticulous and responsive. He takes ample time to listen to the patient's concerns and desires, applies his considerable experience, and communicates his knowledge and expertise to the patient in terms of potential outcomes. Dr. Stanwix listened carefully to my concerns and the results to which I aspired, gave me feedback in terms of what was realistic and could be expected in terms of outcomes, and explained to me what was possible. In both the initial consultation in which we mapped out a surgical plan, and again on the morning of the surgery when we went over the plan again, Dr. Stanwix asked specific questions, made specific recommendations, and asked me for my input in terms of his recommendations. Together we formulated and finalized a surgical plan, which Dr. Stanwix and his team executed meticulously and flawlessly. Because of his meticulous practice, his careful listening and his expert guidance, my results have met my expectations and exceeded them. This surgery changed my life in the best of ways. Bonus round, Dr. Stanwix delivers this entire experience with a happy, positive attitude and bedside manner. This man obviously loves his job! I would also like to recognize the wonderful staff that Dr. Stanwix has assembled. He values his employees and it shows. The office radiates with a happy, positive vibe, which is so important. The team works well together. Their efficient operation gives a smooth, seamless patient experience. I am so impressed and pleased with my Mommy Makeover experience with Dr. Stanwix and his team that I am returning in a few weeks for additional surgery on my face, forehead and neck. I am so excited and grateful to have access to this wonderful surgeon! Dr Stanwix did an awesome job!! I could not be more pleased. He was well worth the 3 hour drive each way for his caring expertise. I have doctors see my breast and remark at the quality workmanship he did. Dr. Stanwix is top notch. Not only does he do an amazing job, but he listens and cares for his patients. He takes time out to listen to concerns and answers any questions that I have. Absolutely amazing doctor and surgeon. As a first-timer to the world of plastic surgery, I was nervous to say the least. My worries were all for naught in the comfort, care, and attention I received by Dr. Stanwix and his staff. His office is the most beautiful, calming, and immaculate medical office I've ever stepped into. His willingness to take whatever time is needed to answer questions and address concerns is unlike most of my previous experiences with the medical community. I was extremely satisfied with my results, and know that was a direct result of my choice of Dr. Stanwix for my procedure. In any future procedures I might have down the road, my choice will always be Dr. Stanwix. Very professional and knowledgeable. I felt at ease leaving decisions in his hands. He did a fine job, I’m very pleased and I would recommend him to anyone needing plastic surgery. A fine plastic surgeon, a fine thinker, overall class act. Would recommend him to friends and family without hesitation. After 3 pregnancies with 65+pounds gained for each one my abs were tore apart and my skin was left to just hang there. I was so lucky to find Dr. Stanwix and his team! He answered all my questions, even my most trivial ones and never once not returned an email or call promptly. My scar is tiny, like a pen mark and so low I can wear a low bikini bottom! I look amazing for 44! So I’ve been told. Thanks again Dr. Stanwix for giving me my body back!! !